A farm in South Lakeland is engaging with hard to reach young adults by providing horticultural training and developing employment related skills. Cowran Training, an educational centre at Pennington near Ulverston works with young people at risk of unemployment, antisocial and offending behaviour to develop their employability skills and support pathways into further education. The practical training and work experience involves physical day to day tasks to achieve a diploma in various agriculture disciplines such as Environment and Conservation, Horticulture and Animal Care. Young people learn how to grow and maintain fruit and vegetable crops to sell in the farm shop and at local markets. Due to bad storms, the polytunnel on the farm was damaged, threatening the ability to teach and for learners to complete their horticulture qualifications. The replacement cover was provided by a £500 grant from Carr’s Group Fund. 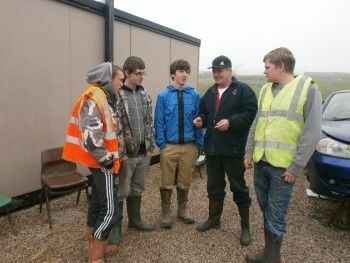 With thanks to the funding, students were able to continue with their training in a non-weather dependent work environment. Cowran Training also secured an additional £750 from the High Sheriff Crimebeat Fund after receiving commendation from Martyn Hart, which they put towards a second polytunnel and disabled wheelchair access. Students usually suffer from mental and/or physical disabilities as well as behavioural issues. Poppy, was referred at 14 after becoming absent from school due to illness. 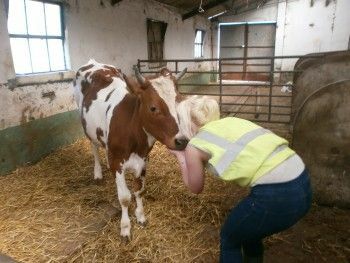 Not reaching her full potential in mainstream education, she achieved outstanding qualifications at the farm including a Level 2 diploma in Horticulture and Animal Care. Poppy has become a confident, well-qualified person who now lives independently and is able to support herself and her young daughter.